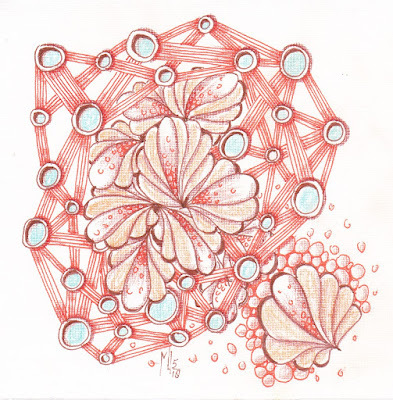 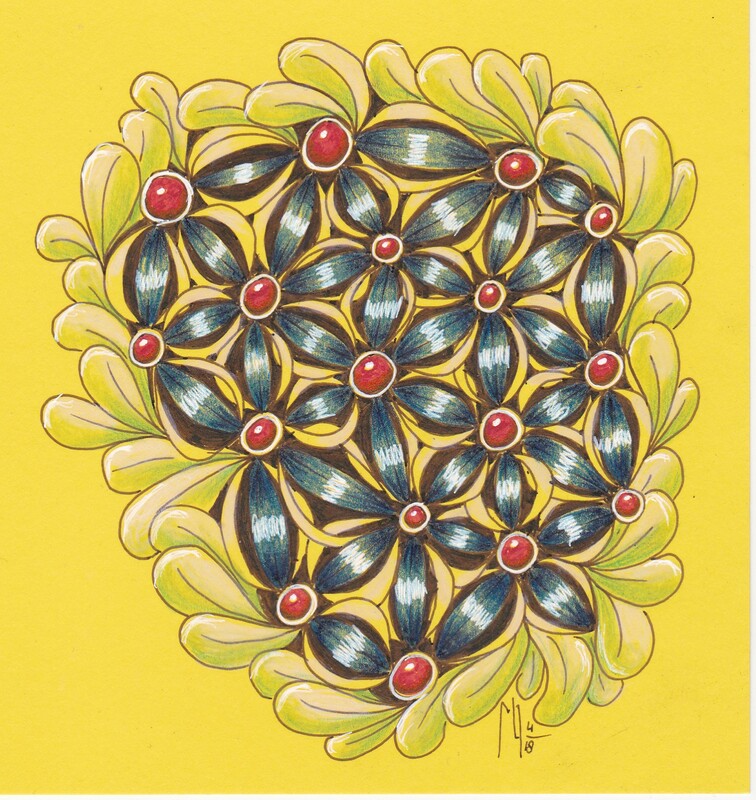 For the Challenge this week we should use Laura's tangle "Somnee"
I drew with a brown and orange Micron and colored with colored pencils. 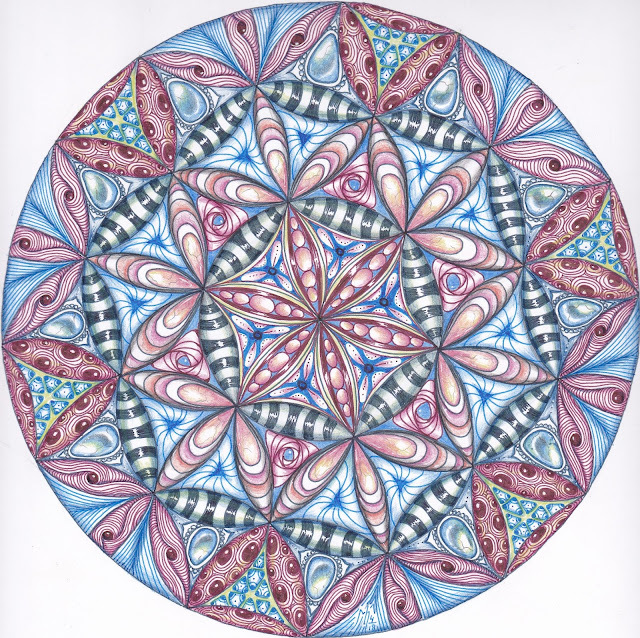 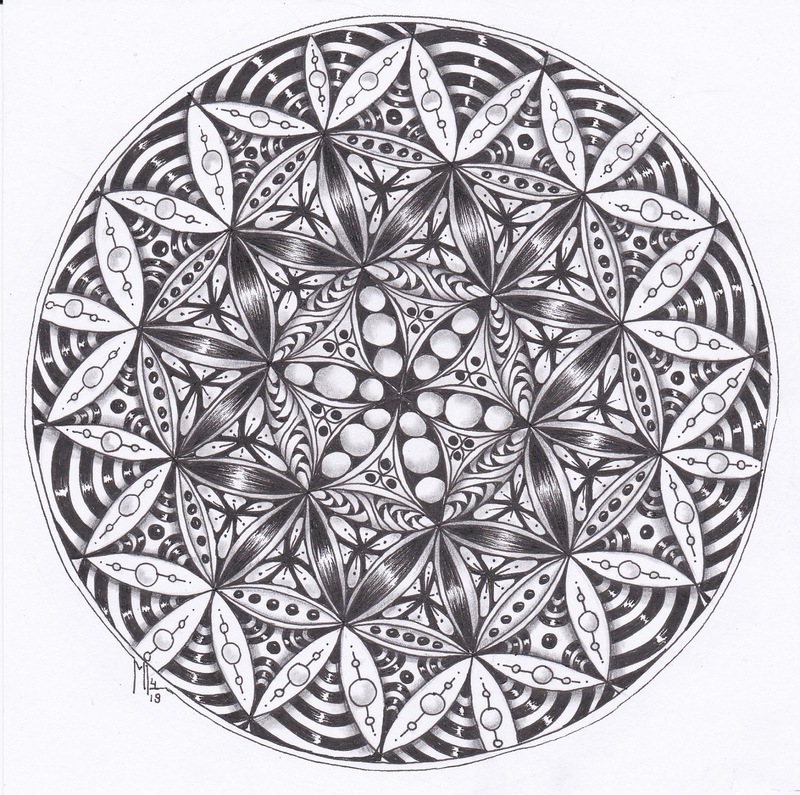 The Flower of life, one of the most important symbols of the sacred geometry is used in these drawings as the string. 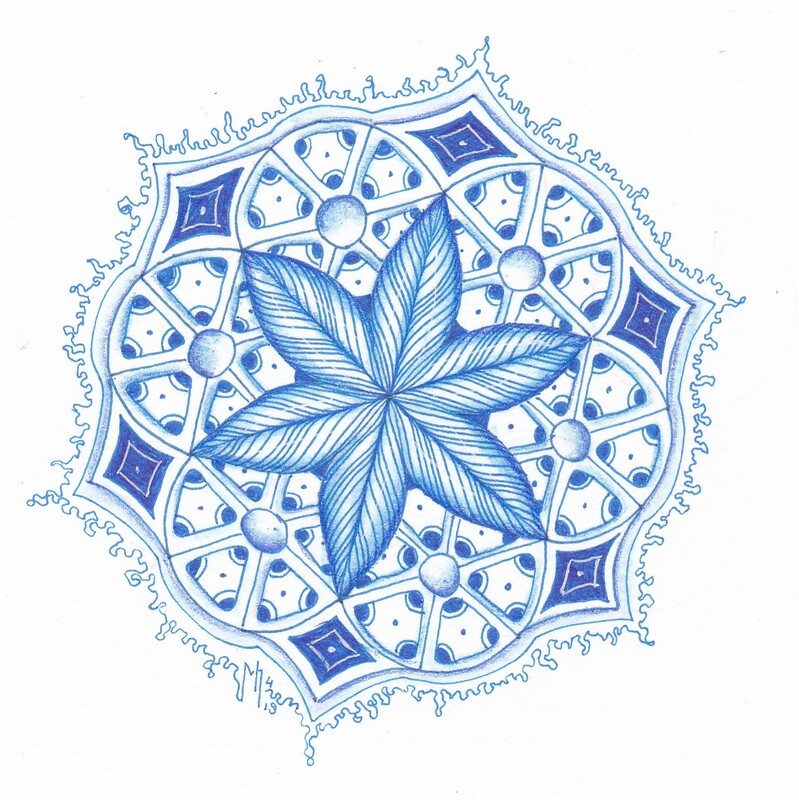 Tomorrow I will give a workshop with the Flower of life as a Mandala/Zendala for 6 women in my livingroom, I'm looking forward to it! 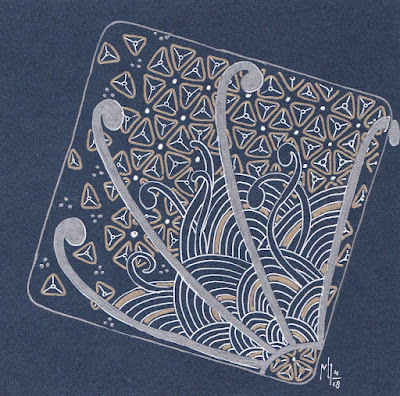 The next one 25 X 25 cm. 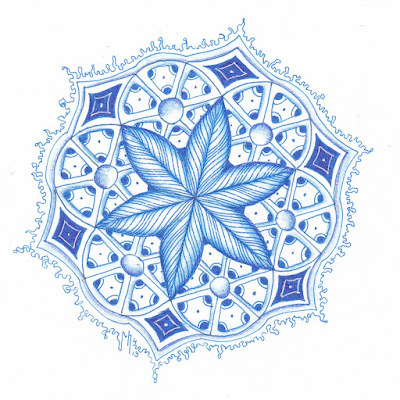 Drawn with the Micron PN in dark blue, light blue and dark red. 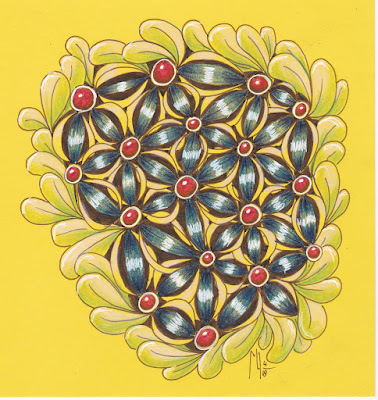 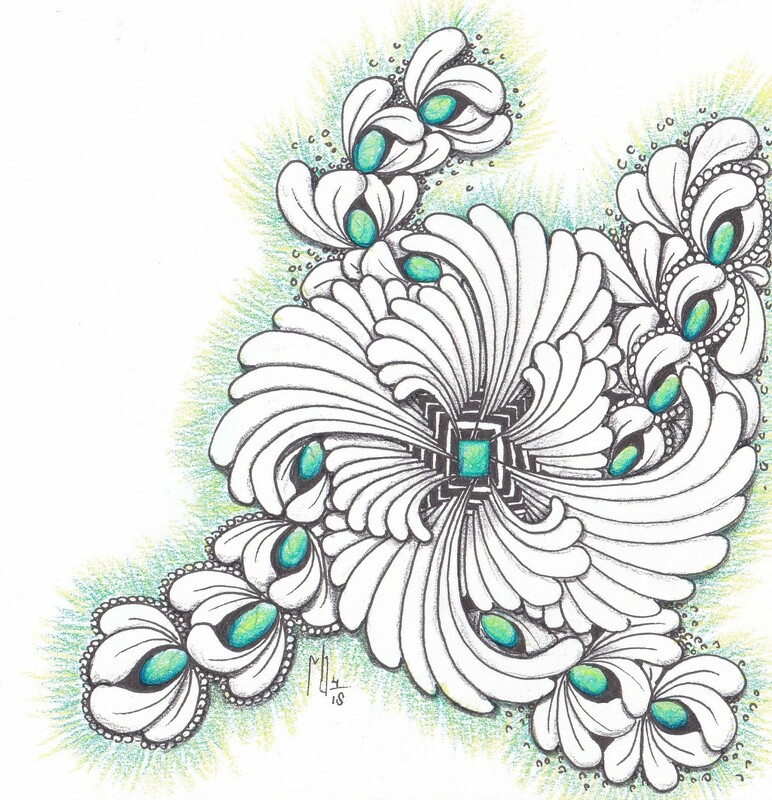 Colored with colored pencils in indigo, ultramarine, dark red and earth green. 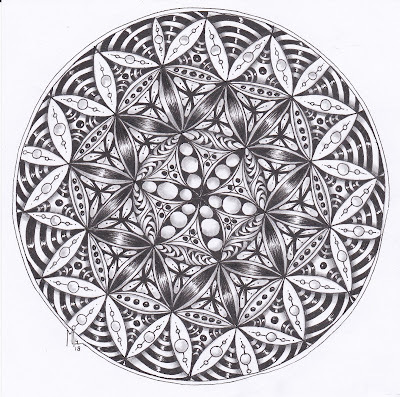 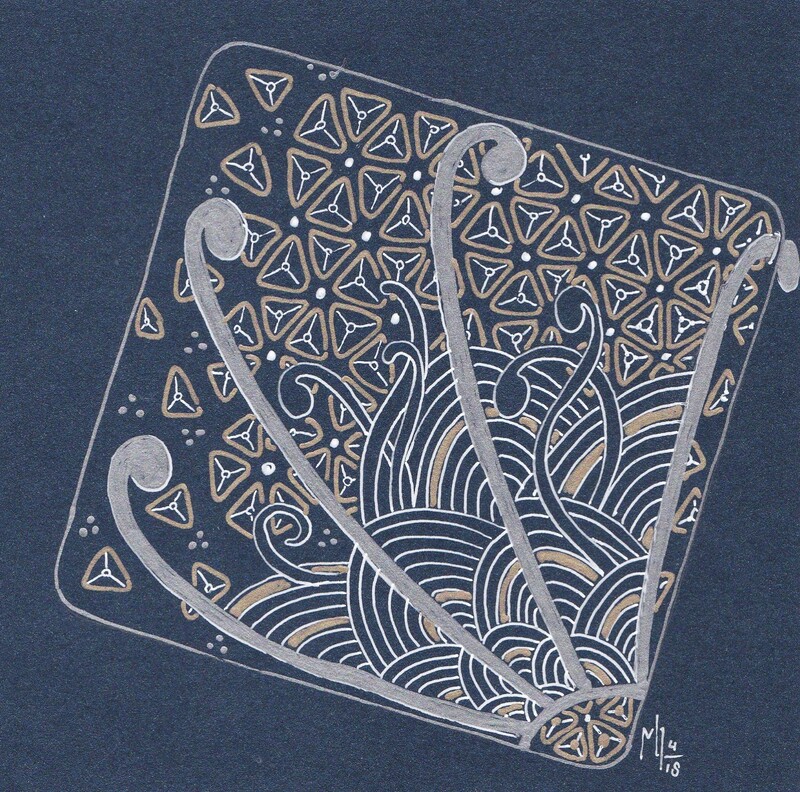 Even this drawing is based on the Flower of life, so many possibility's with the base of the symbol. 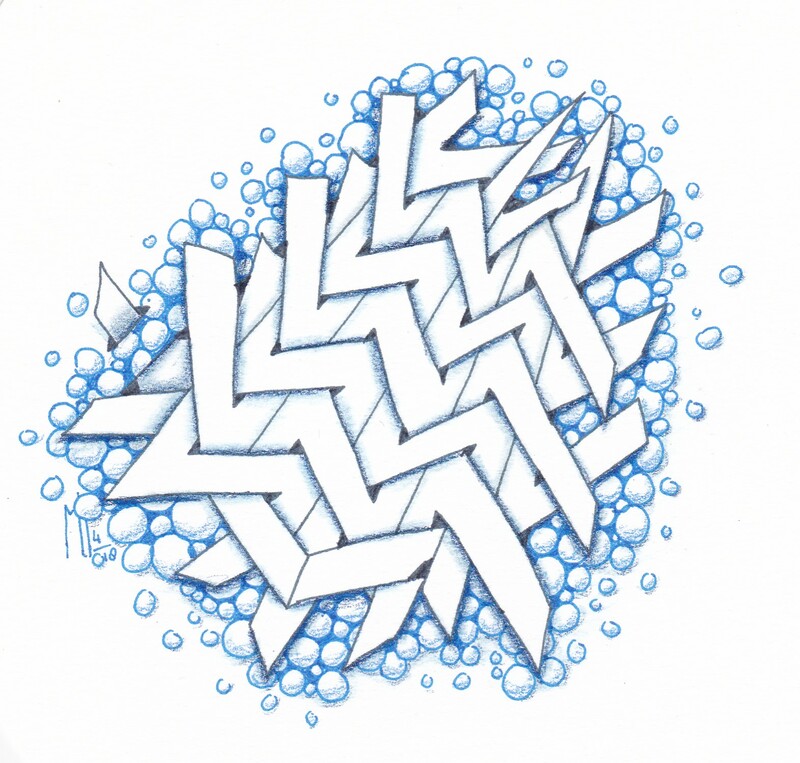 The UMT for this month is the tangle "Pickpocket"from Thomas Padros. A difficult tangle, and also difficult to combine with other tangles. 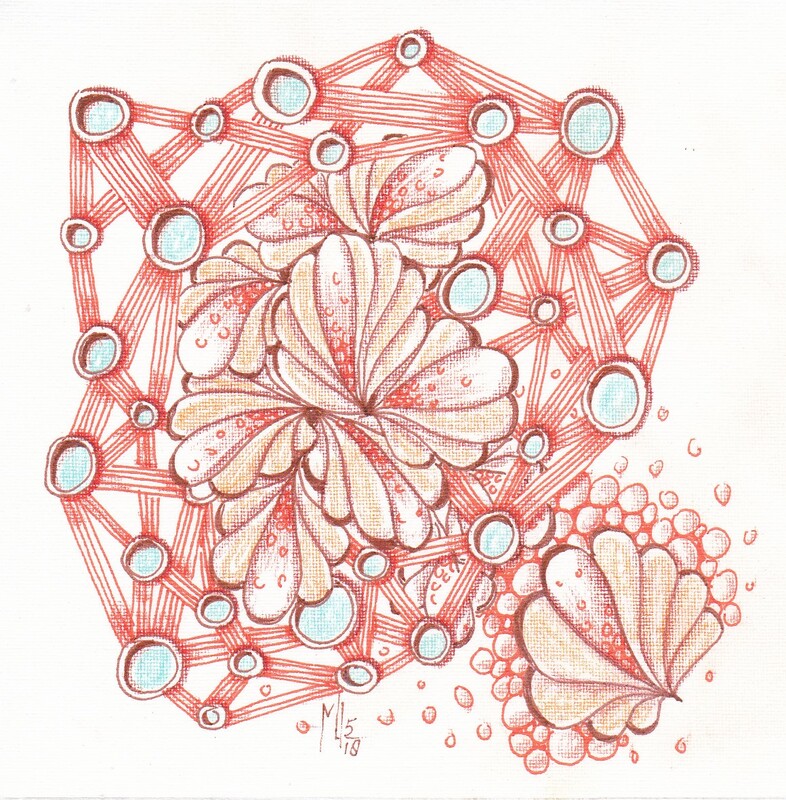 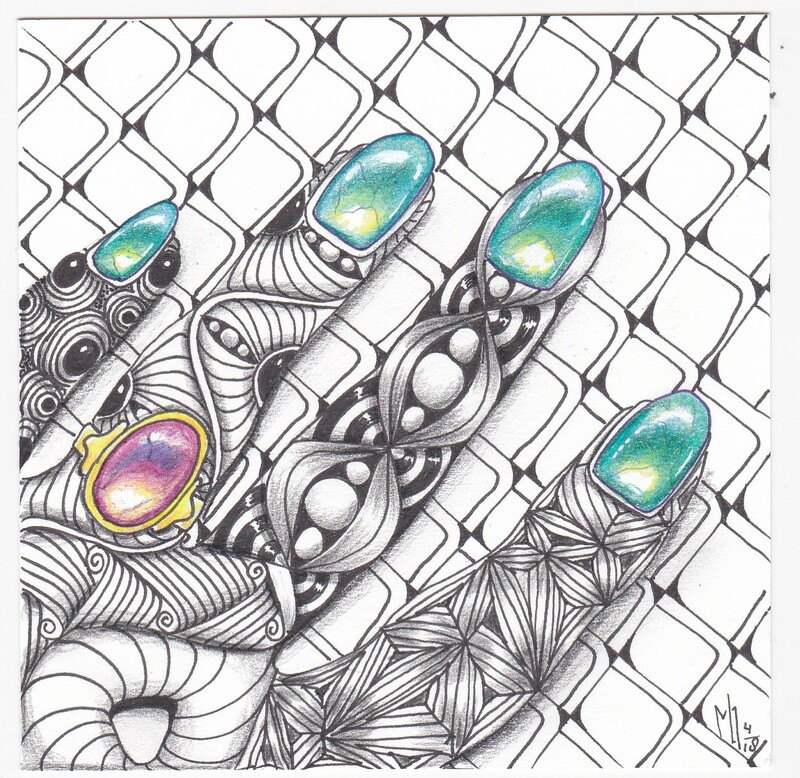 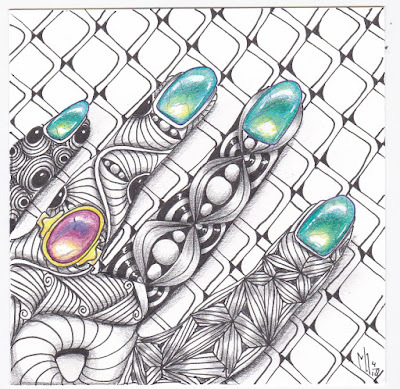 Here's my contribution drawn with my new Micron PN pens (great pens) and shaded with colored pencils.